Welcome back to The Children’s Ministry Blog Patrol. 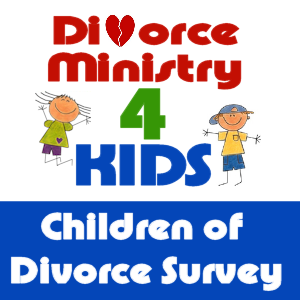 Every month we gather links from around the blogging world related to Children’s Ministry and issues important to those who work in Children’s Ministry and organize into one easy to use document. A friend once described it as “The Table of Contents of the Children’s Ministry Blogs.” I like that. As always, there were a lot of great articles published this month in the world of Children’s Ministry. I hope you will take a few moments to check them out. As has become my custom, I have identified what I view as the best of the best, or most important, articles of the past month with this little graphic next to the title. The idea of this section is to pick the one article (or series) each month which had the greatest impact on me and I thought would be the most useful to the readers of The Children’s Ministry Blog Patrol. That said, I know myself, and there is a good chance that I may include more than one article each month where I found it impossible to pick just one. I do promise to keep it to three or fewer though! (Note: These articles are also included in their proper categories below). One of the critical roles in Children’s Ministry is that of teacher and shepherd of kids. These articles offer tips and advice on teaching and doing presentation for kids as well as general information on working with children. I loved this series from Jim Wideman on being a Spirit Led Teacher. In this great series from Greg Baird from Kidmin360, Greg explores a variety of ways and methods for connecting with the kids in your ministry. Sam Luce, in a guest post for Ministry-to-Children.com, shares 4 reasons why object lessons are important in teaching kids and three practical tips for using them. Nathan Flannery shares five ways to help you connect with the kids in your church. 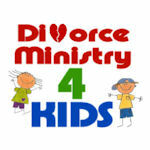 How to Help Kids in Children’s Ministry feel the LOVE! Lindsey Whitney shares some knowledge picked up via Karl Bastian on how to show love to the kids in your ministry. Matthew Guevara writes about getting kids to ask the right questions. Dale Hudson, in a guest post for Ministry-to-Children.com, shares a great kids’ church lesson using Silly Bands. I’d explain what they are, but if you work in children’s ministry and/or have kids, you already know! In this guest post for Ministry-to-Children.com, Dale Hudson shares how you can make giant sized silly bands for your children’s ministry. Tina Houser writes on the importance of modeling real biblical prayer for kids. This article has three tips for coming up with that perfect name for your next youth sermon. This article offers 5 tips to lessen the strain of separation anxiety. Dale Hudson offers some great ideas for connecting with kids. Matthew Guevara explores why games are important to children’s ministry. Wendy Douglas writes about the importance of listening. Lin Pearson shares on the importance of being prepared in children’s ministry. Dan Scott writes about the importance of small group leaders in making connections with kids. Karl Bastian shares this touching story which is a poignant reminder of what can happen when you show an interest in a child’s life. Sam Luce did a great series this month on lasting in Children’s Ministry. Scott Berkley shares ten things he has learned about children’s ministry in ten years. Tony Kummer from Ministry-to-Children.com started a podcast this past month with some top notched guests. Make sure to check them out and subscribe to the podcast in Itunes. Podcast #4 What Makes for “Good” Children’s Worship Music? 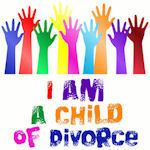 Church4EveryChild started a new series on ADHD in kids. How are Kids and Teens with ADHD Different? Commander Bill Gunter allows us to learn from mistakes he has made in ministry. I know Bill, so I’m pretty sure this series is only two articles long because he has only ever made two mistakes! Check out Amy Fenton-Lee’s series on safety in children’s ministry – something that she is, as many of us are, very passionate about. J.C. Thompson starts a series on the differences between Children’s Ministry and Junior High Ministry. Jason Martin begins a series of 20 things they do at Life Church to speak excellence in their kids’ ministries. Todd McKeever continues an earlier series on landmines you might encounter in a new ministry position. Are You A Children’s Ministry Cup Or A Colander? Barbara Graves asks how you process the kidmin ideas you hear at conferences and find in other resources. Do you hold on to them and do something with them or let them drain away? Tony Kummer offers 16 practical tips for getting more kids into your classrooms. Mimi Bullock from Ministry-to-children.com offers some ideas on how to decorate your children’s ministry for autumn. Amy & Kelly Dolan wrote a guest post for Kidmin1124.com last month about the ups and downs of working together in ministry. Tony Kummer, from Ministry-to-Children.com, ranks and evaluates the major players in the curriculum market. Wendy Douglas talks about her new volunteer position working with tweens. Theresa Haskins reflects on another promotion Sunday. Matt Norman explains that, no matter how bad you are with crafts, you are still creative because that’s the way God made you! Matt McKee begin_of_the_skype_highlighting end_of_the_skype_highlighting wrote about Barbara Grave’s use of twitter for her children’s ministry check in. What did Irenaeus have to say about kids 1800 years ago that still applies today? Check out this list of 20 things that youth pastors wish their senior pastors realized. Dan Scott combines two of my favorite things in this article – Children’s Ministry and Dr. Seuss. Matt Norman wrote about his philosophy for growing a children’s ministry. ”Commander” Bill Gunter shares some truths about children’s ministry that occurred to him while doing yard work. Based on an earlier article by Commander Bill, I expanded on the analogy between landscaping and children’s ministry. Matt McKee updates an post he did several years back on the human side of children’s ministry. North Point Kids explains the critical nature of preschool ministry. 10 Things that have changed and not changed in #kidmin in the last 3 years. Matt McKee provides an insightful look at what has and hasn’t changed in children’s ministry over the last three years. In this article that I wrote for Ministry-to-Children.com, I write about a conversation with my three year old that made me thankful that my church does not view preschool ministry as babysitting. This is the final entry, much anticipated, in a series we featured several months ago. In her first guest post for Ministry-to-Children.com, Lindsey Whitney writes about some of the often overlooked advantages of being a small church. Wendy Douglas shares her thoughts on working with Tweenage kids. Joy Bowen on the positive aspects of volunteering as a couple. Barbara Graves shares some important advice on dealing with the problem of having too many good ideas. Sam Luce laments the facts that, so often children’s ministry, we don’t design things with the proper age in mind. Check out this little test I came up with on Kidmin1124 to gauge your attitude about working in children’s ministry. Brian Chicoine chimes in on the three primary roles of children’s ministry and misconceptions. Christine Yount Jones asks what the proper role of the church is in an information age. Doug Walter lists five things that will make your child’s faith apathetic and dead. Roger Fields offers up his opinion on teaching kids about virtues. In this article, Anthony Prince explains why the order of importance the different aspects of your life hold will ultimately affect your ability to be successful. dot Kids explores some ways to get kids to memorize catechism. Amy Dolan gives some good advice on how to develop a vision statement for your children’s ministry. Justyn Smith on why we should stop doing things FOR the community and start doing things WITH them. What should you do as a leader when personal pain impacts your ministry? Jenny Funderburke shares the story of how her church ventured into multi-site services. Sam Luce shares the steps he goes through when he is planning an event in this practical article. Karl Bastian explores what a children’s ministry run by Jesus might look like. Inside North Point explores the real power that comes from collaboration with some practical advice on how to do that. Anyone who knows me or follows this blog probably knows that I feel storytelling is an essential element in conveying the meaning and veracity of the Bible to kids. I’m hoping to find enough posts to have a separate section for posts related to storytelling. So, let’s see how it goes. Jeff Brodie explores the idea of writing a better story in this series. Larry Shallenberger offers his notes from the Story Line Conference. David Wakerley wonders whether or not it is appropriate to cut out the more gory parts of the Old Testament when teaching children. How to discipline in Children’s Ministry is an oft discussed question, and this section is dedicated to all things related to discipline. Jamie Doyle continues his series on why kids get bored at church. Steven Borque shares his biblical pattern for disciplining his own kids. Dale Hudson, who I have now dubbed the King of Practical Advice, does it again in this article where he discusses ways to keep kids from “looking away” during your service. Amy Dolan continued her Monday series this month on building a better meeting. Larry Shallenberger continued his series on people he could learn from. I decided to go ahead and include the posts again this month despite the fact that he names the Philadelphia Eagles head coach as a person he could learn from. Justyn Smith offers this series which looks at some things you should consider when making decisions. Tamera Kraft shares some encouraging quotes on perseverance. Carey Nieuwhof urges us all to not let the important fall victim to the urgent. Gina McClain talks about failure in ministry and why an “I would never…” approach is insufficient. Tony Kummer interviewed Larry Shallenberger on his transition out of children’s ministry. Larry will be missed as a voice in kidmin, and this interview is well worth reading. Why Do Leaders Refuse To Admit They Are Wrong? Are you in a position of leadership. You should read this article about assessing why you may not want to admit your mistakes. Donald Miller explores the importance of knowing your destination in making decisions about what to do in the present. Barbara Graves explains why you can’t effective tell someone your vision. Here’s a hint – it’s in the word itself. What’s your reason for wanting leadership? Todd McKeever shares some positive and not-so-positive reasons for desiring leadership. Craig Groeschel explains why leaders should be intentionally unreasonable sometimes. Don Miller with a thoughtful assessment of humility and why it might not be a good thing if everyone tells you you’re humble. Perry Nobel serves up 10 questions you should ask yourself about your own personal spiritual growth. He also offers scriptural references to support each question. Ron Edmondson offers some advice to extroverts on how they can help those of us who aren’t quite as outgoing. Carey Nieuwhof writes about the importance of using your mind when it comes to your emotions. Perry Noble shares four ideas which leaders hold that can ultimately destroy them. Matt Norman writes about figuring out the right pace for ministry. Tina Houser challenges us all to jump in and be the type of leaders who are willing to do anything they ask those they lead to do. Coach Shef polishes off a series on recruiting with a look at the pyramid approach to finding volunteers. Nathan Flanery offers five positive reasons that you should include teens as volunteers in your children’s ministry. Lots of people write about recruiting volunteers. Here is an interesting article on how to keep them once you have them. Christine Yount Jones reminds us that when we show our volunteers appreciation, we need to make sure that we are speaking their language. In a brand new feature on Kidmin1124.com we’ve started to recognize some Children’s Ministry volunteers who go above and beyond in their service of God’s kids. Funny Man Dan Lee-Archer was our very first recipient. Children’s Ministry Monthly explores ways to help find volunteers in smaller congregations. Mimi Bullock from Ministry-to-Children.com shares three ways you can fill in those nagging volunteer gaps in your ministry. Amy Dolan shares why it’s important sometimes just to say something to your volunteers. Jeff McClung shares 7 tips for partnering with parents in the spiritual development of their children. Gina McClain summarizes six practical steps to successfully integrating as presented by Steve Wright at D6. There seems to be more and more out there every month regarding special needs ministry, and we’ve finally caught up here at the Children’s Ministry Blog Patrol by adding a new section for those articles. In this series written by guest writer Christine Hoover on the Inclusive Blog, she addresses the issue of teaching kids with autism. Commander Bill explores the basics when it comes to Awana and working with kids with special needs. Commander Bill shares a special needs success story from his Awana program. Don’t miss the comment at the bottom of the article. Amy Fenton Lee shares the top ten blog posts from her blog The Inclusive Church. If you are not familiar with Amy’s blog, this would be a great place to start. Amy Fenton Lee reviews a special needs curriculum from Lifeway publishers. Jesus should be at the center of any Children’s Ministry. That means teaching kids about Jesus, about the BIble and about theology. This section is for articles that discuss and assist with teaching kids about the Bible, theology and theological concepts. Lindsey Whitney compares the stories of Joseph and Jesus. dot Kids explores teaching kids about theology. Tony Kummer shares 30 great starter verses which are great for kids to start on the path of scripture memory. Jim Kast-Keats explores the offensive nature of the gospel. WOW.. I encountered God through the prayers of a 3 Year Old! Nicki Straza shares an experience she had where a three year old prayed for her. I love these types of stories about kids! A Fake Jesus Children’s Ministry? Nathan Gunter writes about why Jesus needs to be the focus of our children’s ministries and why he often isn’t. Is your child ready to receive Christ? GJ Farmer addresses the question of whether or not a child is ready to receive Christ. Carey Nieuwhof explains that, as parents, we have to be careful not to over-schedule so that we have time for the important things. Adrian Warnock explains the importance, especially for young men, of having role models in our lives. The PreTeen Ministry blog shares several ways you can slow down and avoid the busyness of life. The Centri Kids Camp blog shares some resources for parents to help determine whether or not something is appropriate for their children to view. With VBS getting closer and closer, the number articles related to the topic warrants its own category. Lindsey Whitney shares a brief history of Vacation Bible School. One of the fun things about working in Children’s Ministry is playing games with kids. As Games Leader in AWANA each week, this is near and dear to my heart. In this section, I have accumulated articles about and links to various games. The Scripture Lady provides instructions for a great game to help your kids remember some major biblical characters. In this article I wrote for Ministry-to-Children.com, I share 9 classic games which are great for children’s ministry. There are lots of great books out there about Children’s Ministry and lots of great books for kids. In this section, we accumulated reviews and recommendations to such books. Michael Hyatt shares some tips for how to help you retain more of what you read. For those of us who read a lot, these tips can be really helpful. The goal of the Children’s Ministry Blog Patrol is to bring together useful resources for those involved in Children’s Ministry. Many bloggers out there write about their favorite web sites. This section is for those types of articles. Jonathan Cliff continued his series of people he has met through his online endeavors. CM Buzz shares link to their favorite ten children’s ministry blogs. I shared a list of 25 podcasts that I listen to regularly on Kidmin1124. I’ve added tow or three since then, but the list is still pretty good.  Jared Massey shared a link to a great site for Dads. Tony Kummer spent hours and hours putting together an objective listing of the 100 best children’s ministry blogs on the internet. You should check these blogs out. Recently some sites (specifically Ministry-to-Children.com) have been offering free Bible based coloring pages for use at home or in your ministry. I thought they merited their own section, so here it is! Here are some great Halloween themed coloring pages from Ministry-to-Children.com. Ministry-to-Children.com posted another coloring page for kids about thanking God for Autumn. Check out the next coloring page from Ministry-to-Children.com that explores how we follow Jesus. Gospel Coloring Pages: What Makes Jesus the Best King? Check out the 3rd pages in this series of coloring pages about King Jesus. In this article, Tony Kummer provides a very practical bulletin insert you could use at your church listing reasons to bring kids to Sunday School. I’m Not A Big Fan Of Puppets But…. Check out this free electronic version of a puppet. Tony Kummer shares seven fun and funny jokes you can safely use in your children’s ministry this coming Sunday. Crafty Crow offers up a page to help get our kids writing. As those in children’s ministry, one of the things we should be committed to is growing in our own faith. I come across all kinds of resources to help with that, I will share them here. John Saddington shared this useful tool for shortening the URLs for scripture references. Andy Johnson shares a link to a site which provides royalty free stock footage that you can us ein your children’s ministry. Church Crunch shares this great tool for editing FLV files. Sam Luce continued to upload lesson plans by book of the Bible this past month. North Point Kids shares their very colorful and very organized approach to writing curriculum. The Children’s Minister Blog shares a Christmas story that you tell using a parachute. In this series, I looked at ways to turn your child’s homework time into a devotional time. Blog Series – 8 ways to empower your child to have the best school year ever! Jim Wideman continues his series on how to help your kids have a great school year. 101 Creative Ideas to Keep Kids Busy WITHOUT TV, Technology, Media or…Dare I say it…Video games! This list could keep your kids busy for a very very VERY long time, and that’s exactly the point. Pick two or three of these a week and make time to do them with your kids! You won’t regret it. Wendy Douglas draws the parallel between our roles as parents and God’s role in our lives. Ahhh, the temper tantrum. Been there…Done that. In this article, Kristin Charles share 6 practical tips for preventing them and 6 more tips for dealing with them. Carey Nieuwhof writes about that “special” tone of voice we reserve for only our family members. Mary Kassian writes about why women should still change their last names when they get married – very interesting article and well worth a read. Doug Walter talks about what many of us as parents already know – God teaches us a lot through our kids. The gospel is no exception. Wendy Douglas writes about the importance of modeling the spiritual behavior we would like to see in our kids. Learning How To Share Your Faith At Home…When You Have No Time! Robert Gentry begins a series on how to share your faith with your kids. 11 Questions We Should Ask About Our Marriage! Perry Nobles offers up 11 questions you should ask yourself to evaluate your marriage. How does the idea of kingdom impact your marriage? Whose kingdom shapes your marriage? Lindsey Whitney shares some of the many benefits of praying with your spouse. Check out this article on how to redeem your marriage. Albert Mohler explores why the issue of divorce is not as prominent as it might be among Christian activists. Justin Taylor shares portions of an article from National Review about what marriage is really for. Would you pass the TEST?? Can you stop yourself from jumping in a helping your child when they are struggling? What will that mean to their future development? Cap City Kidz shares another practical parenting tip regarding how discipline time should conclude. Doug Wolter wonders what your family dashboard looks like today. This section includes posts from various Children’s Ministry blogs from the last month that were lighthearted, useful or just made me chuckle. Abraham Piper shares a poem which summarized how most of us will be remembered once we’re gone. John Saddington provides a scientific look at how to win at Rock, Paper, Scissors. Check out this fun little cartoon from David Wakerly. David Wakerley (with two e’s) shares this creative look at the old saying. Here’s a great infographic from Church Crunch on what it would take to read the entire internet. You better get started quick! Church Crunch shares 10 reviews of the KJV found on Amazon. These made me laugh out loud. Guys, is your woman as hot as Solomon’s? Doubt it. Abraham Piper shared a great literal interpretation of the woman from the Song of Solomon. This section includes a listing of my posts on Dad in the Middle alerting readers to new articles which I have published on Ministry-to-Children.com. In this article I shared what I learned from prayer from my 2 year old. Thanks to my pastor for this one. Check out ten tips for Biblical Fatherhood based on a verse you might not associate with parenting. Check out this list of ways to get kids excited about reading their Bibles. I had never heard of an online preschool before this, but Cullen’s is top notch. What are the Top Ten Internet Tools for Children’s Ministry? I compiled a simple list of ten great internet resources for people who work in children’s ministry. Inspired by an article from Gina McClain, this article looks at the importance of understanding momentum in children’s ministry work. Why the Worship Music You Use With Kids is Critical! Worship music should not be an afterthought. Check out my review on this VBS kit from the Seventh Day Adventists. I asked my kids what they want their leaders to know, and they told me.